A really short post today. 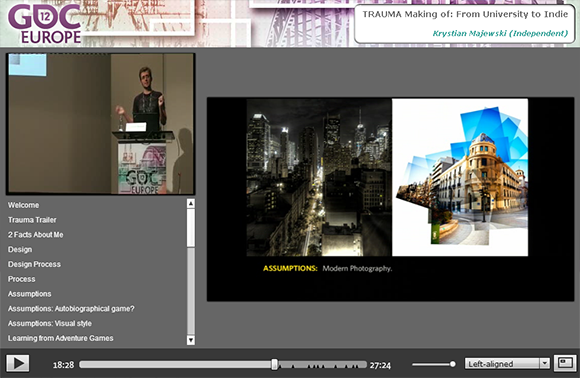 I wanted to share with you a GDCE talk I gave a year ago about how I made my game TRAUMA. It has been just released on GDC Vault for free! I basically go over some of the influences and assumptions I had going into TRAUMA. I also talk a little about how the project evolved over time and how TRAUMA became what it is. Enjoy! And let me know what you think.